The economies of Latin America and the Caribbean will expand by 3.2% in 2014, which is higher than the 2.6% performance of 2013, according to a new ECLAC report launched today at a press conference in Santiago, Chile. Panama will lead the pack with a growth rate of 7% in 2014, while powerhouses like Brazil and Mexico are predicted to grow at 2,6% and 3,5% respectively. In its annual report Preliminary Overview of the Economies of Latin America and the Caribbean 2013, ECLAC points out that less buoyant external demand, greater international financial volatility and falling consumption were the factors determining the more modest economic performance of countries in 2013, which brought down the 3.0% estimate put forward by the Commission in July. The next year is expected to see a moderately more favourable external environment help boost external demand, and in turn the region’s exports. Private consumption will also continue to grow, although more slowly than in previous periods. In the meantime, increasing investment in the region remains a challenge. As she presented the report, Alicia Bárcena, Executive Secretary of ECLAC, stated “The world economic situation in 2014 provides opportunities and threats for Latin America and the Caribbean”. According to Ms. Bárcena “Opportunities include increased international trade and the possibility of harnessing currency depreciations to ensure sustained changes in relative prices. This – along with industrial policies to support growth, boost regional integration and help small and medium-sized enterprises – could help to increase investment in diversifying production in tradable goods and to reduce the region’s structural heterogeneity”. 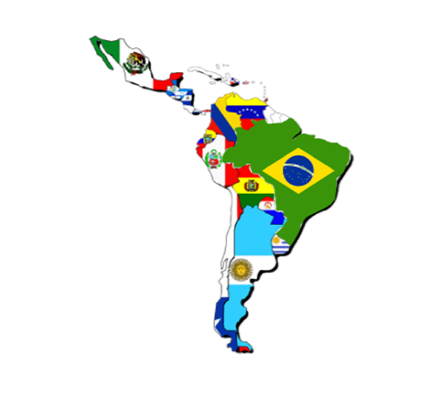 According to the Preliminary Overview by the Economic Commission for Latin America and the Caribbean (ECLAC), regional growth in 2014 will be led by Panama (with 7%), followed by Bolivia (5.5%), Peru (5.5%), Nicaragua (5%), Dominican Republic (5%), and Colombia, Haiti, Ecuador and Paraguay (all four with 4.5%). Growth is predicted to be 2.6% in Argentina and Brazil, 4% in Chile and Costa Rica, 3.5% in Guatemala, Mexico and Uruguay, and 1% in Venezuela. 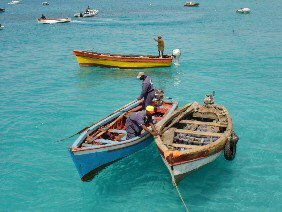 Next year, the Caribbean will experience a recovery and post a figure of 2.1% (following just 1.3% growth in 2013). The report states that the main challenge facing Latin American and Caribbean governments is to drive through social covenants for investment to boost productivity and growth with equality. These social covenants must have an institutional framework that provides certainty and clear rules, short-term policies to provide nominal and real stability and long-term policies that encourage more diverse investment in tradable goods sectors. According to ECLAC, in 2013 consumption made a smaller contribution to regional growth owing to a slowdown in the wage bill and credit. The slightly higher contribution by investment and the smaller negative impact of net exports failed to offset reduced consumer buoyancy. This year, regional growth was led by Paraguay (13%), followed by Panama (7.5%), Bolivia (6.4%), Peru (5.2%), Nicaragua (4.6%), Uruguay (4.5%), Argentina (4.5%) and Chile (4.2%). In terms of the labour market, the unemployment rate remained more or less stable, going from 6.4% in 2012 to 6.3% in 2013. This dip was caused by a lower overall labour participation rate. Inflation remained below 5% in most of the region’s countries. A widespread worsening of the terms of trade – on the back of continued commodity price reductions – contributed to the balance-of-payments current account deficit widening from 1.8% of GDP in 2012 to 2.5% in 2013 (mainly as the result of a higher increase in merchandise imports relative to exports). Given this context of lower inflation, slower economic growth and financial instability, many countries implemented moderately countercyclical policies aimed at shoring up internal demand and tackling international financial volatility. Some countries reduced their benchmark interest rates (except Brazil), while others encouraged the stable growth of monetary aggregates (or total money circulating in an economy). Furthermore, the financial instability led to a smaller accumulation of international reserves, and some countries introduced macroprudential measures to avoid greater exchange-rate fluctuations.